Rockstar Games is giving away some in-game items as a reward for users who add two-step verification to their Social Club accounts. This goes for new users who add two-step verification, as well as users who have already done so. Here is a link to sign in or create a Social Club account. Remember to add 2FA verification to get your in-game items. 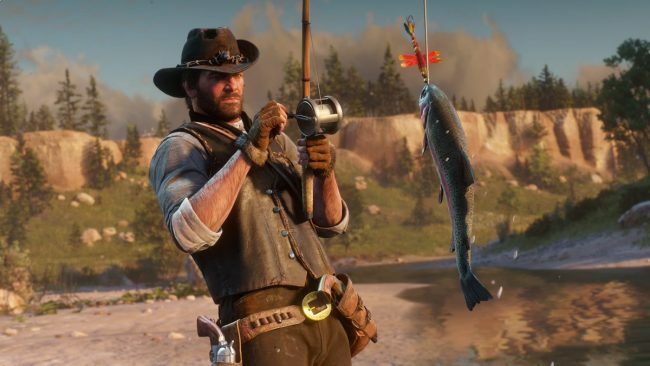 If you’re curious about what you get as a reward, Rockstar will be giving $500,000 for GTA Online and 10 Gold Bars for the Red Dead Online beta. Additionally, Rockstar has confirmed that you will get additional future benefits for both GTA Online and the Red Dead Online Beta for enabling this fail-safe. Rockstar Games is pushing 2-step verification as a way to keep accounts more secure. With an added layer of protection, accounts might be less likely to have unwanted access. It works how you’d expect: Signing in to an account will require a verification code that is required when using an unrecognized device such as a tablet, phone, or different browser. If you’re unaware, the Social Club is sort of like social media for Rockstar’s games. Many games featured include bonuses for having an account, as well as a way to connect to other users. For example, Grand Theft Auto V has some mini-games available there, ways to manage crews, a Snapmatic app to take photos, and even a criminal record section to manage your character. Since Grand Theft Auto V has sold over 100 million copies, there are probably a few of you out there still playing. It’s a neat service that you might want to consider using if you’re a GTA Online or Red Dead Online beta player. Do you use the Social Club service? Does this incentivize you to start using it? Let us know!